Getting over acne can feel like an impossible task. The net is full of bottles, pills, and dietary regimens that promise to clear your skin, and yet it seems like none of them works for you. Fortunately, scientists are slowly uncovering promising solutions to acne, such as vitamin D. Several studies have looked into the relationship between vitamin D and acne. These studies show that people with acne are more likely to be deficient than those without acne and that taking vitamin D supplements can reduce acne. In this post, I’ll tell you everything you need to know about vitamin D for acne. In 2016, Korean researchers compared vitamin D levels of people with acne to those with clear skin. Their results showed that acne patients were much more likely to be vitamin D deficient than those without acne; 48.8% of acne patients were deficient in vitamin D vs. 22.5% of people without acne. 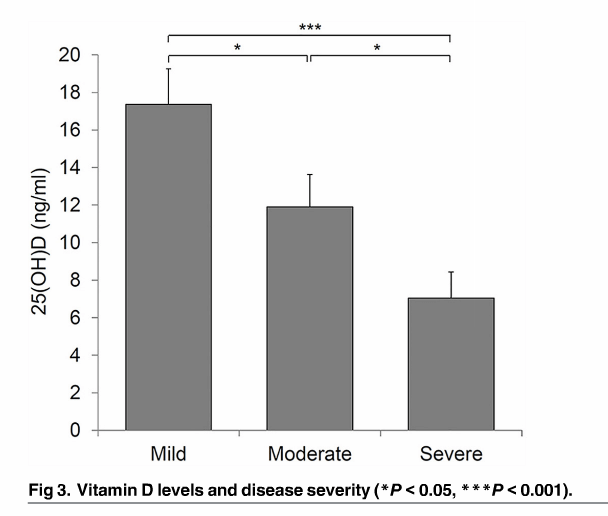 This graph shows average vitamin D levels for people with different severities of acne. There was no difference in vitamin D levels between those with mild acne and people with clear skin. The researchers also tested whether vitamin D supplementation can reduce acne. They divided 79 people with acne into two groups. One group got vitamin D (1000 IU/day), and the other group got placebo supplements. This graph shows the results for inflammatory, noninflammatory and total pimple counts. The number of inflammatory pimples (red lesions that are often painful) dropped on average by 35% after 2 months of vitamin D supplementation. The supplements had no effect on the number of non-inflammatory pimples (blackheads and whiteheads). The researchers speculated that 1000 IU/day might not be enough, because, even after supplementation, average vitamin D levels in acne patients were still below the level considered as adequate (20 ng/ml). Other studies have also looked into the relationship between vitamin D and acne. A study published in the Journal of Research in Medical Sciences in 2014 tested calcium and vitamin D supplementation in women with polycystic ovary syndrome (PCOS). Women with PCOS have similar, but more severe, hormonal disturbances that women with acne, and PCOS patients frequently also suffer from acne. The combined supplementation had no effect on acne. On the other hand, the women in this study already had more or less sufficient vitamin D levels (average 19.53 nl/ml). A 2015 systematic review also concluded that vitamin D supplementation has no effect on PCOS. In 2014, Turkish researchers also compared vitamin D levels in acne patients and people without acne. Their results showed that 95.3% of acne patients were vitamin D deficient – vs. 56.5% of those without acne. The average vitamin D level among acne patients was 11.2 ng/ml and 19.7 ng/ml for those without acne. On the other hand, an Iranian study published in 2015 showed no difference in vitamin D levels between acne patients and healthy controls. In this study, both groups had very low vitamin D level; 8.4 ng/ml in acne patients and 10.4 ng/ml in controls. That’s the sum total of all the studies on vitamin D and acne. In a nutshell, studies show that vitamin D deficiency is more common among acne patients than those with clear skin – research on other inflammatory skin conditions has produced similar results. Vitamin D supplementation may reduce acne, but we need more studies before we can really say whether this is true or not. I remain cautiously optimistic about vitamin D, given what we know about its cellular effects in the skin. Several cell culture (test tube) studies have looked at the cellular effects vitamin D has in the skin. In most cases, acne forms like this. Spurred by irritation, keratinocytes (specialized skin cells) multiply rapidly and produce too much protein called keratin. Keratin is a tough protein that binds skin cells together (your nails are made of keratin). Excess keratin, combined with sebum, leads to blocked pores. Bacteria (P. Acnes) multiply in blocked pores and causes irritation in skin cells. This causes inflammation and turns the blocked pore into an inflammatory pimple. I explained this in detail here. Cell culture studies have shown vitamin D protects skin cells from bacteria-triggered irritation. This means that vitamin D reduces the number of blocked pores that turn into inflammatory pimples. In fact, this is what the Korean study showed. That study showed vitamin D supplementation has no effect on non-inflammatory comedones, but reduced the number of inflammatory pimples by 35%. Vitamin D may inhibit mTOR. I call mTOR as the master regulator of acne. It’s a protein that regulates cell growth. One reason dairy products and sugar cause acne is because they boost mTOR, which causes the skin to produce more oil and leads to blocked pores. Vitamin D does the opposite; it reduces mTOR activity in the skin. Possibly related to above, vitamin D may reduce the growth of the cells that produce sebum (sebocytes), which would reduce the amount of oil the skin produces. I have to say all of this is still highly speculative. It goes without saying that what happens in test tubes is not always the same as what happens in living humans. So what does this mean to you? And should you try vitamin D supplements? If you have more than a few inflammatory pimples (i.e. you have moderate to severe acne), then I would try adding vitamin D to your treatment regimen. Keep in mind that acne is a complicated problem, and I doubt you’ll get good results, if you try to get over acne with vitamin D alone. But it could work as a part of a well-rounded treatment program that addresses all the aspects of acne, such as my Clear for Life program. On the other hand, if you have mild acne that mainly consists of non-inflammatory blackheads and whiteheads, then I doubt vitamin D works for you. Nobody knows exactly how much you should take vitamin D. As the above study showed, 1000 IU/day can reduce acne, but the study also showed that blood vitamin D levels were still below the recommended levels (20 ng/ml and above). On the other hand, The National Institute of Health recommends taking no more than 4000 IU/day. At that intake, you are highly unlikely to get any side-effects. So aim for something in between. 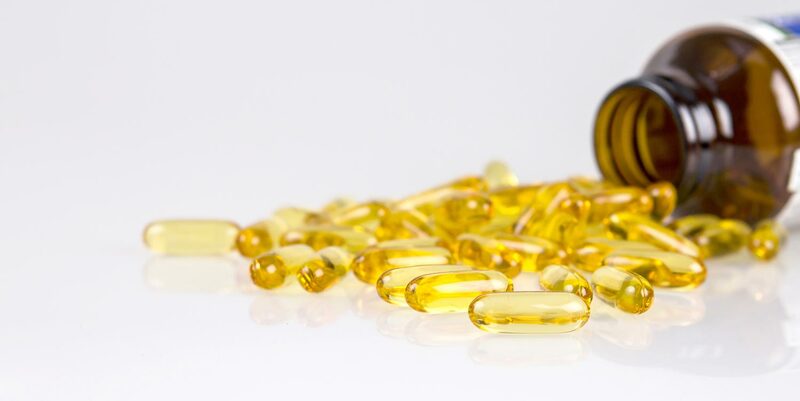 If you want to try vitamin D supplements for your acne, here are a few options to consider. All of these represent good value for money (at the time of writing). Disclaimer: I may get a small commission from the merchant if you decide to buy based on my recommendation. This was interesting. Thanks for all the great articles! Would sunbathing work as well? Should work. You’ll get tons of vitamin D from sun exposure. Just be careful not to expose your skin for too long or you’ll end up doing more damage. My acne is definitely related to my gut and I’m in the process of waiting to figure out what’s exactly wrong with it. In September my doctor checked my vitamin D level for the first time. My level was 12, normal is a 30. Obviously for some reason my body isn’t absorbing enough from the sun (because of something in my gut). I’ve been on a supplement for a full month now and my skin has drastically improved. It’s no longer dry and flakey. For the first three weeks however it got very oily but this week it actually feels normal for the first time in five years. I currently only have one pimple when I normally have them all over my cheeks, jaw, and back. I’m excited to see what another month on the supplement does for my skin. So decided after more research and after having a very clear summer only for cysts to return, gave vitamin d a shot again but this time continued a good diet and stopped all other supplements. Also upped my D3 dose to 10,000UI a day and my skin has mostly cleared! Think I may get a 25(OH)d test but for now working well. Since I broke out on my back before, also taking 30mg elemental zinc. Oh and my oil slick I usually wake up with is mostly gone! I’m darker skinned so I’m more prone to vitamin D deficiency. I’m taking 2 5000UI vitamin D supplement that has 90mcg of vitamin K. Think about it, do you break out more in the winter months? If you do get your vitamin D levels checked and try D3 with vitamin K! You’re giving one of the best acne advice I’ve ever seen in one place. I know it works cause I already did most of things you write about. Wish I had help like that from the start and didn’t have to dig through studies, reaserch, diet and cosmetic “advice” myself and sum years of self observation and experience to have mostly clear skin. Still it’s worth to read, keep things in check, or maybe find a way for even more improvement. 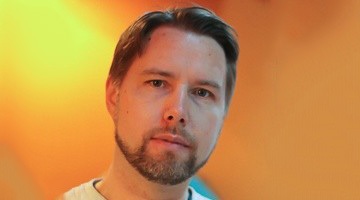 Thank you for your blog posts! Glad to hear you are enjoying the content! All the best on your road to clear skin. I work indoors all day therefore was severely vitamin D deficient. Taking 4000 iu Vitamin D daily really helped.